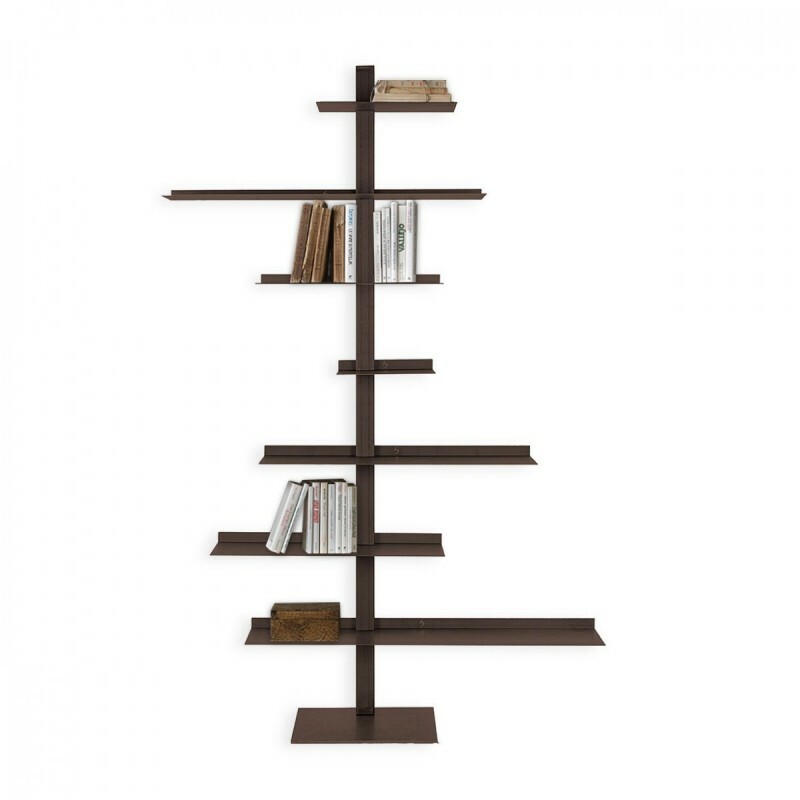 Tiche by Siderio is a vertically designed bookcase boasting an unusual shape and a sophisticated style. Tiche bookcase by Siderio is a masterful design by Italian brand Siderio. Its versatile design will prove just as useful in daily life as it will look beautiful. Thanks its vertical stretch, Tiche can be easily placed in any room of your home. Siderio is a specialist in manufacturing designer furniture from steel sheet. Its pieces work wonderfully in any room of your home, adding a touch of sophistication to it and proving extremely practical for all your needs. All bookcases by Siderio, in particular, don't just provide practical storage solutions for books and knick-knacks, but offer also a wonderful designer piece that will decorate your home in style. This designer bookcase will stand out from anything else you've ever seen before and will leave your guests, friends and family in awe. 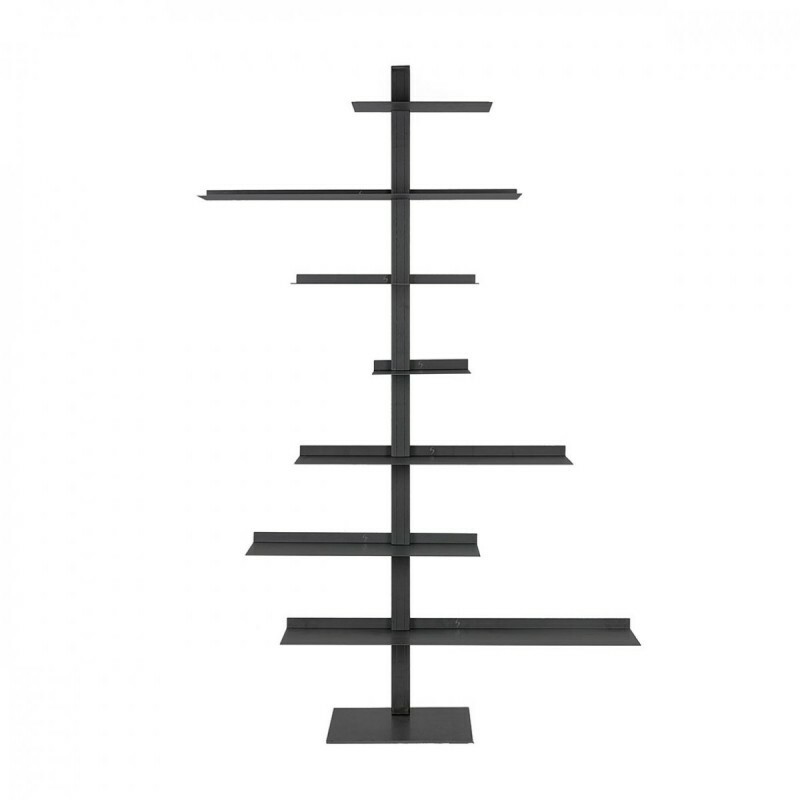 Being versatile and very easy to build, the Tiche bookcase will take exactly the shape you want to give it. You can build it around your needs and according to your spaces - how brilliant is this? 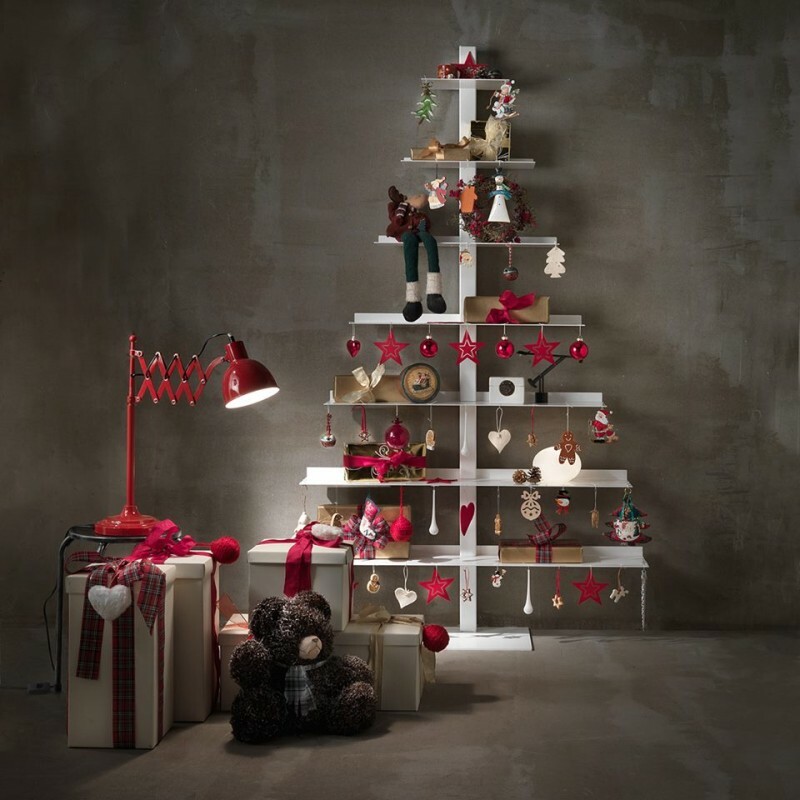 During Christmas time, for instance, you can turn your bookcase in an unconventional Christmas tree! Its shelves are complete with hanging holes or decorations. Tiche bookcase by Siderio is made from painted steel. This designer piece will blend in perfectly with living areas, bedrooms and study areas thanks to its streamlined look and timeless elegance. Choose your favourite colour among those on sale online.